“Belonging in a World of Differences” is the theme for Utah State University Eastern’s fifth annual Diversity Conference on Wednesday, April 17, from 9 a.m. to 3:30 p.m. in the Jennifer Leavitt Student Center. A 1998 Southern Utah University communications graduate, Clifford has 16 years of experience in the event, marketing and branding sphere and worked in the sport, outdoor and apparel industries. 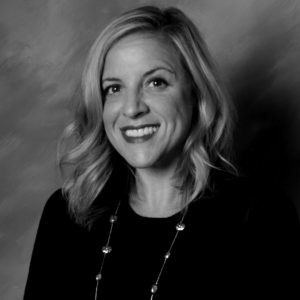 From running field-of-play operations for the 2002 Olympic Games, to sports marketing at PUMA, managing the day-to-day branding of The North Face or working with Nike and Ralph Lauren to create comprehensive team gear for the United States Olympic Team, she experienced every level and facet of the marketing-communications world. Currently, Clifford is the global marketing manager for OC Tanner in Salt Lake City, helping companies create cultures of recognition and appreciation. A Salt Lake native, she spent 14 years living in Boston, Southern California, Colorado Springs and San Francisco before returning to the Wasatch Front in 2016. After the keynote address, a dozen workshops will be held to enforce the “Belonging in a World of Difference” theme. The USU Blanding Cultural Ambassador performance will perform dances from around the world.